Since 1985, Memorial Hermann The Woodlands Medical Center, a private not-for-profit community-based health care provider, has expanded its services, community outreach efforts and employment opportunities. It features 351 licensed beds, private patient rooms with the latest technology complimented by patient-and-family-centered care. In fact, it’s the first and only medical center recognized by the American Nurses Credentialing Center as being Magnet® designated for nursing excellence and quality care. Services include a: Family Birth Center, neonatal intensive care unit; pediatric unit; medical/surgical care; medical/surgical/cardiovascular intensive care; Cancer Center; emergency services; and a diabetes self-management program that has earned Recognition by the American Diabetes Association. Cardiac and neurological services include: a certified primary stroke center; brain surgeries to treat aneurysms and tumors; complex spine surgery; open-heart surgery; three cardiac catheterization labs with interventional capabilities; cardiac electrophysiology; an accredited Chest Pain Center; and accredited cardiac rehabilitation. Medical Plaza 3, located next to the hospital, houses the: Outpatient Surgery Center; Outpatient Imaging Center featuring two 3.0 Tesla MRIs (including one that has a larger bore for bigger patients) and PET/CT; and the Breast Care Center featuring 3-D Tomosynthesis digital mammography and dedicated breast radiologists from MD Anderson. Medical Plaza 2 houses: some of our affiliated pediatric subspecialists (neurology, cardiology, gastrointestinal diseases/digestive diseases, and endocrinology); the Cancer Center; TIRR Outpatient Rehabilitation; and Memorial Hermann Sports Medicine. The hospital features a skilled staff and the depth of its physicians cover more than 60 medical specialties such as interventional cardiology and radiology, neurosurgery, colorectal surgery and radiation oncology. Memorial The Woodlands Medical Center ranks high in physician satisfaction, patient satisfaction, nursing satisfaction and employee satisfaction. 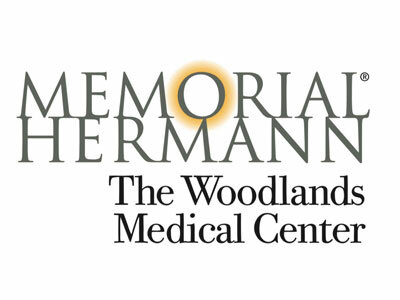 Memorial Hermann The Woodlands Medical Center is part of Memorial Hermann Health System – the largest non-profit healthcare system in Texas - which includes Children’s Memorial Hermann and a Level 1 Trauma Center in The Texas Medical Center. Emergency Centers (one at the Hospital and a secondary location at 9950 Woodlands Pkwy, near FM 2978, a third in the Memorial Hermann Convenient Care Center in Spring at the Grand Parkway near Kuykendahl); and an Urgent Care in Spring on Stuebner Airline Road near FM 2920.